Saint Patrick Catholic Church is always in need of Mass Intentions. We realize that there can be a back log at many parishes in the area and that some parishes have even adopted the practice of remembering more than one person at a Mass, accepting multiple stipends for this remembrance. We humbly see this as an unacceptable practice. We celebrate Mass regularly and remember each intention separately. 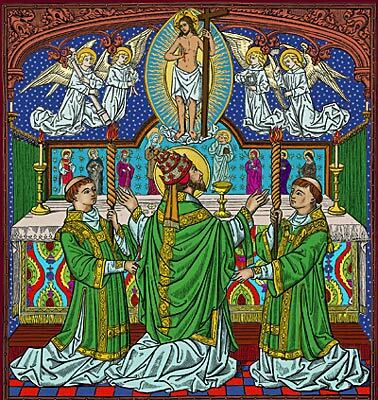 Masses are offered for many reasons; for the Souls in Purgatory, in remembrance of a deceased loved one, for someone who is sick, as a birthday remembrance, in thanksgiving for a special intention or healing, or perhaps in celebration of a wedding anniversary.